FitMiss Tone™ is what you need to help turn your body into a lean, fat-burning machine! 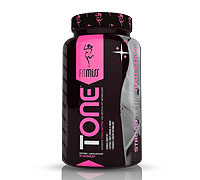 The active ingredients in FitMiss Tone™ will help you blast away fat and boost your metabolism. So while you are out there turning heads, remember ...FitMiss Tone™ helped you get there. As a dietary supplement, consume 1 capsule with morning, noon, and evening meals or use as directed by a physician or licensed nutritionist. Do not exceed the recommended serving suggestion. Not for use by individuals under the age of 18. Do not use if you are pregnant, expect to become pregnant or are nursing. 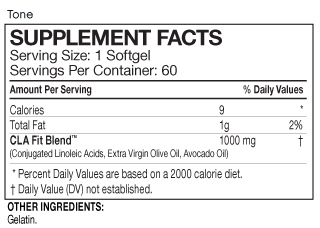 Consult your physician prior to using this product if you are taking any prescription or over-the-counter medication or if you have heart disease, thyroid disease, diabetes, high blood pressure or any other medical condition. KEEP OUT OF REACH OF CHILDREN.